Display your firearm with pride. Our CASTLECREEK® Handgun Display Case is a handsome place for your prized firearms, watches, coins and other expensive keepsakes. 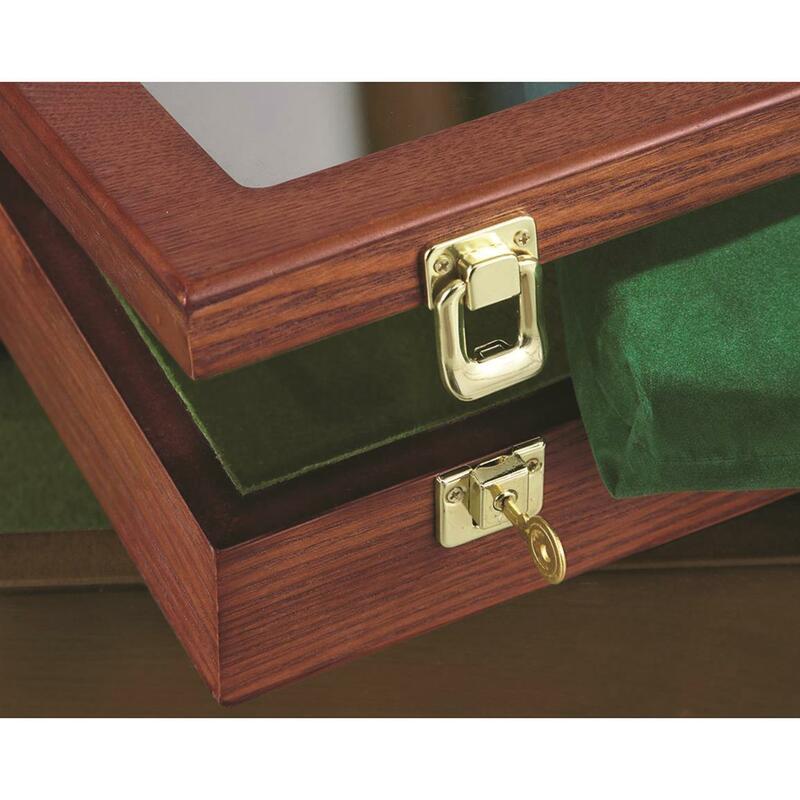 The locking latches keep prying fingers out, and the green felt lining protects against scratches. Glass-top lid keeps the contents dust-free and looking good until they're ready to be passed down to the next generation. 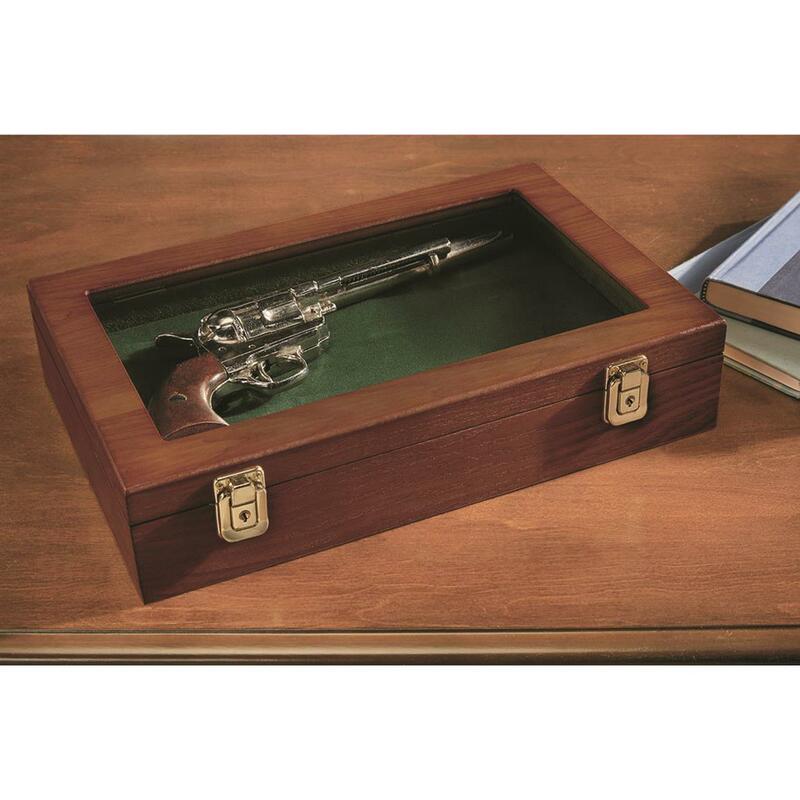 Interior Dimensions: 12.9" x 8" x 1.9"h.
Exterior Dimensions: 14" x 9" x 3"h.
CASTLECREEK Handgun Display Case is rated 4.8 out of 5 by 4. 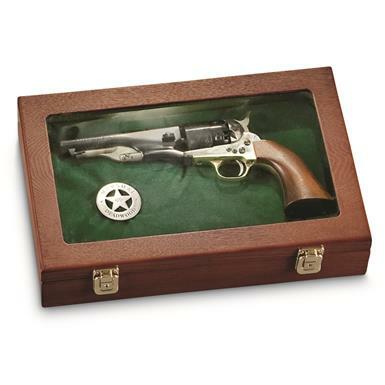 Rated 5 out of 5 by Ol fowler 1 from great looking made well I ordered this for an antiqe hand gun and it is great. Looks good and made well.